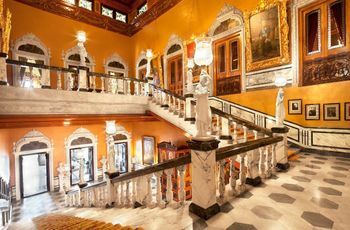 How a Couple with Special Needs Can Host Their Wedding at Pataudi Palace for a Grand Affair | Wedding Tips ARE YOU A VENDOR? This is the nursery rhyme that we grow up learning, and this is the order that most of us grow up believing in. Marriage is the beautiful union of two people who love and cherish each other, with the promise of living together and fulfilling each other. It is something that we tend to appreciate and follow through in life. 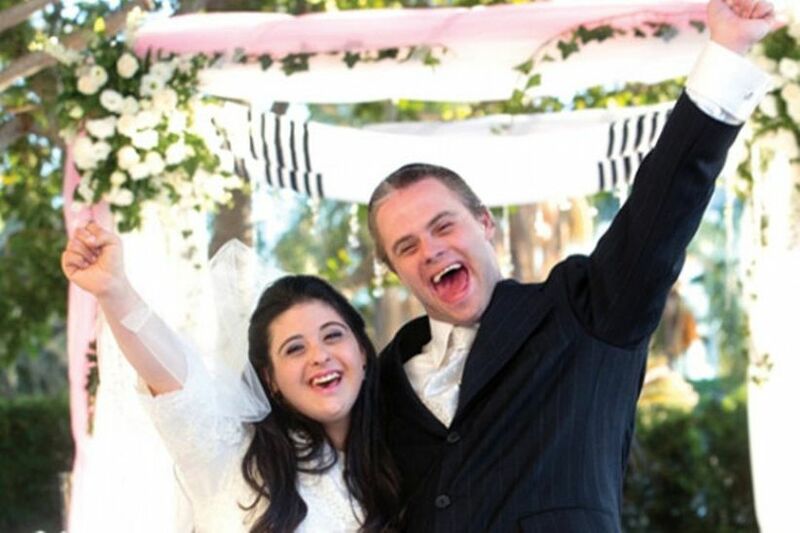 So, what happens when two people of special needs fall in love? What if they want to marry? Should they even be given a chance? Do they have the capabilities to take care of each other? Can they manage the emotional responsibility that comes with marriage? Would they be able to deal with the difficulties of married life? Can they procreate? Should they procreate? In all fairness, all the above questions are valid. Marriage and commitment are not always a hunky dory experience. They come with stress and responsibilities. However, for two people of special need, these instances occur more. So, what should we do? Should we forbid them from having any kind of expectations? Should we prohibit them to live their lives as normal as possible; or do we teach them how to deal with life and help them and support them in their endeavours? The answer, though not simple, is still simple. The components that make a marriage work are love, kindness and clear communication. This is applicable to all couples, not just couples with special needs. 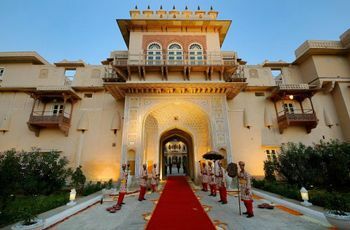 So, for a unique, out of the world, magical wedding, Pataudi Palace is pretty much recommended. With amazing upholstery, fountain, food and path sprinkled with rose petals, this place provides an enchanting experience. From the small details such as the gold-rimmed china and the royal blue clothes napkins to big details such as food are thoroughly checked and served. The chefs in the palace are capable enough to cook any kind of delicacies you want, from western to Indian. The big garden in front of the Pataudi Palace adds to the regal air of the surrounding, with the flower beds arranged in dexterous geometrical patterns. The wild peacocks running roaming around the garden add fun to the atmosphere. On the ground floor, there is a big formal dining room, a courtyard on the top floor with columns and a balcony on the sides. The adept patterns and architecture of the palace make the whole affair of the wedding very charismatic. For the accommodation, the main building has eleven rooms, with three to four rooms extra in the adjacent ‘guest house.’ Luckily enough, if one books all the eleven rooms in the main building, then the whole of the main palace is fully booked, without any additional charges. The price of each room is around ₹10, 000 to ₹11, 000. Thus, one can get the place under ₹1, 00,000. The food, per person, is around ₹400 for breakfast, lunch and dinner, with additional charges incurring for food outside this premise. Outside catering is not applicable here. The real question is the number of guests, one wants for their wedding. The dining room in the main building has space for sixty people at a time. The courtyard on the top floor retains the same number. The total guest capacity is around 400. So, if someone is planning to have a larger number of guests then they might want to consider the pros and the cons. However, this would not be an issue if they are okay with guests forming separate small groups and taking into account the big and beautiful garden outside the main building. People can also occupy the other areas of the palace, such as the billiards room, the terrace, the swimming pool area and so on. So, if the wedding is under 400 guests, then this is a very ideal place to have a magical, fairytale wedding. 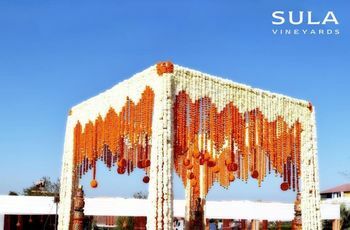 The wedding at Pataudi Palace brings a touch of ‘Bollywood-ness’ to any wedding. 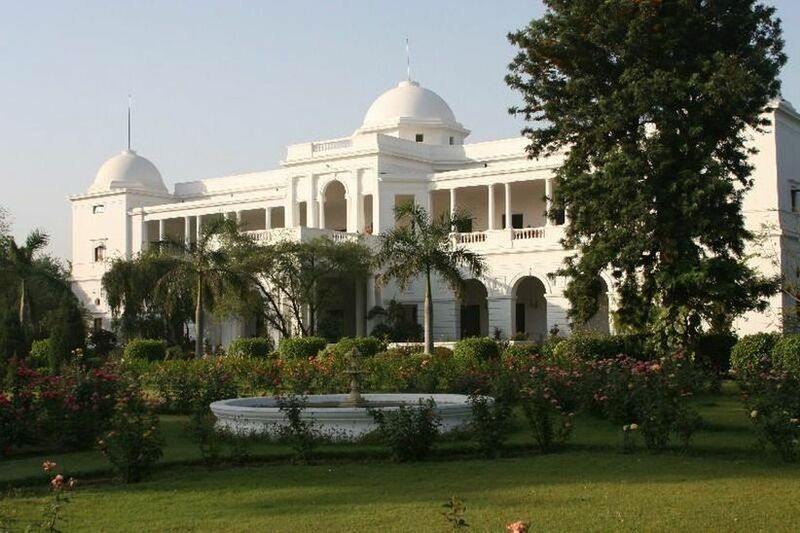 This royal abode and palace has been performed into a beautiful and resorts with a regal touch. 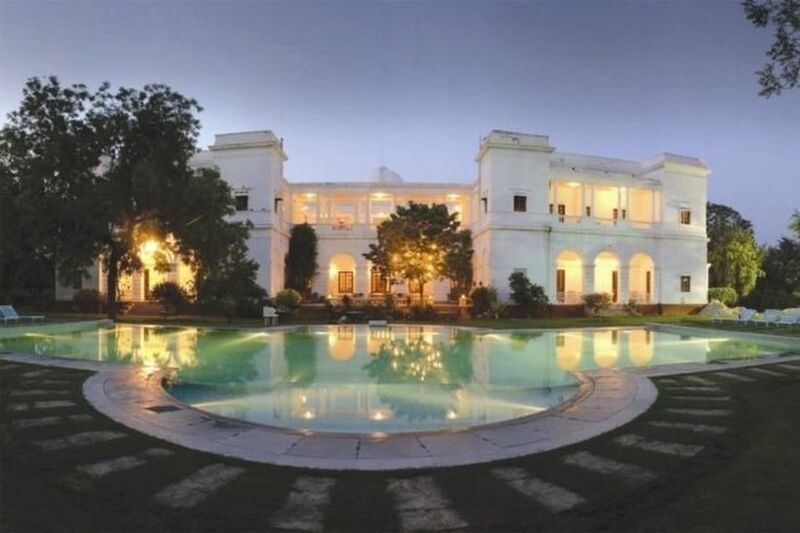 The world-class services and hospitality of the Neemrana Management are truly commendable and worth the appreciation. Decor, sitting arrangements, food, hospitability, rose-sprinkled fountains, Indian and international cuisine in gold-rimmed china, prompt and polite services — all these highlights the impeccable management and touch of the Neemrana Management which took over a decade ago. Hence, you can trust the management of the Pataudi Palace; they will not hinder the self-respect of the bride and the groom in any way. 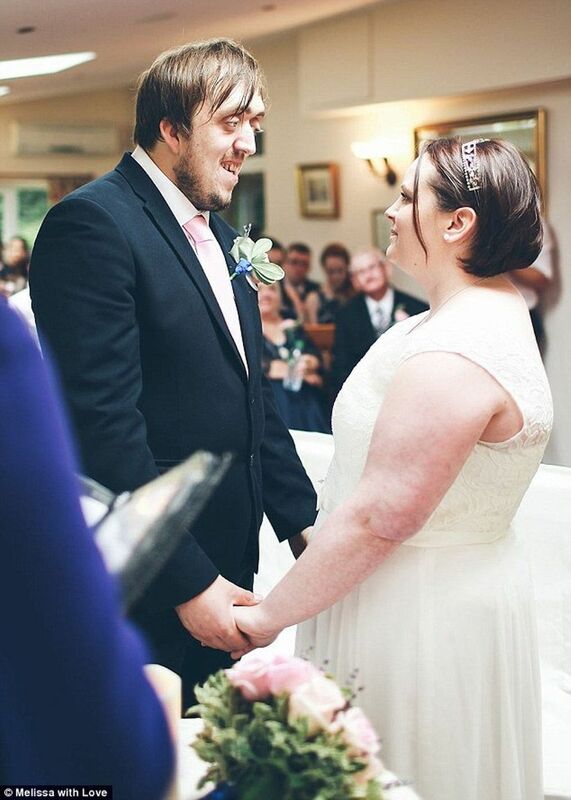 The wedding of any two special people is as same as any other person out there. Of course, there are individuals who are not and/or should not be ready for commitment. However, it should be duly noted that no individual should be lumped into one single, generalised category. The decision of marriage should be the sole right of the two people involved and their true support system, which contains their parents, their loved ones and friends. So, do you want to be a part of such a wedding affair?